This week I found myself in a very well-known ‘tax-efficient’ coffee shop chain. 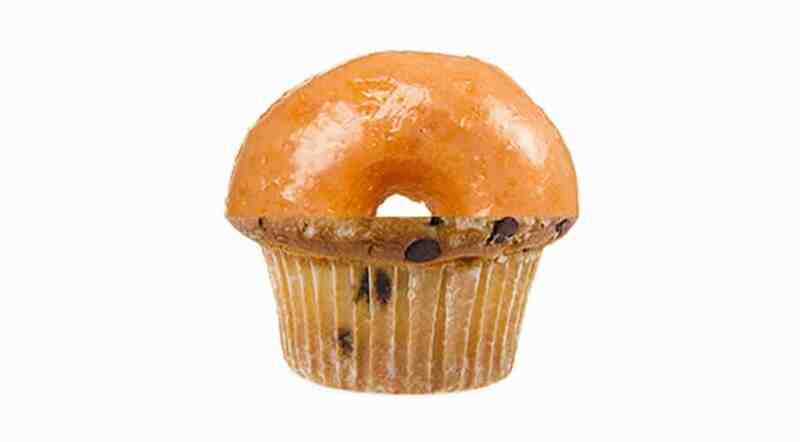 As I lined up for my coffee I scanned the cakes and spotted a duffin. Yep, a duffin. It’s not quite a doughnut, not quite a muffin, but some sort of weird hybrid. It made me think about the way our wonderful English language – sometimes bewilderingly – evolves over time. And at the moment it’s all about pastry-based amalgams. It started in the US, of course. The cronut, an unholy mix of croissant and doughnut, that had New Yorkers queuing around the block (reportedly). That was followed by the townie (a tartlet crossed with a brownie) then the Martha Stewart-endorsed brookie (a blend of brownies and cookies ). Not to mention the muffle (muffin plus waffle), the crookie (croissant, meet cookie) and the macanut (a macaroon-doughnut fusion). Back in the UK, even Gregg’s have tried to get in on the act with the Greggsnut. But I don’t reckon that one will catch on anytime soon. This isn’t new. These are all technically “portmanteau words.” (Portmanteau once meant suitcase; such words stuff two words into one word.) Just call it a mash-up, if you like. But it’s been happening for ages. Brunch (breakfast + lunch) was first used in 1896, and now even the French say it. Finally, did you realise that you’re actually reading a little portmanteau word, right here, right now. Blog combined the b from Web and the word log, meaning a journal – first appearing in print way back in the cyberspace of 1999. What’s your favourite mashed up word? If you ever find yourself in the British Gas Business canteen in Leicester you can have a “bronkie” – half brownie, half cookie, and probably sufficiently calorific to power a passenger hovercraft.